Ever read a headline saying that an inanimate object got featured by HBO or Netflix? No? Then go ahead, because we are talking about a minimalist travel bag (yes…a bag) that got featured by Netflix in ‘Minimalism’, a documentary by Netflix and the travel bag even has a name – Pakt One. 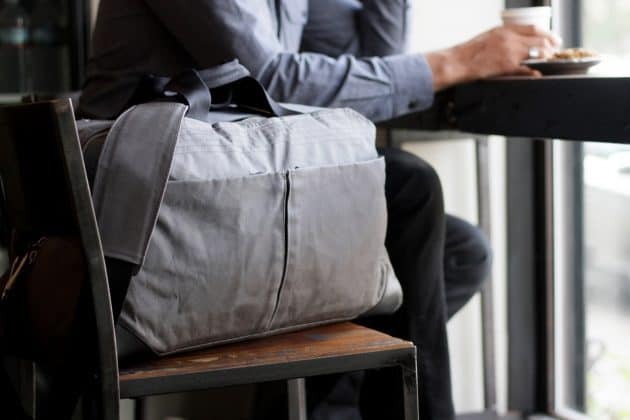 Malcolm Fontier, a designer based in New York and The Minimalists partnered to bring up the Pakt One, the minimalist bag that fulfills the travel needs of people around the world. 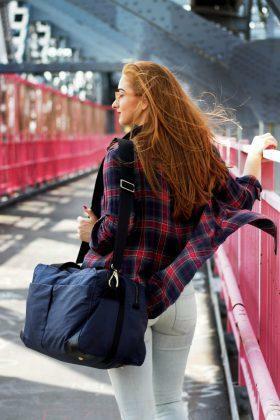 It’s extremely lightweight, but don’t get upset now because it’s quite heavy duty and while it holds lightweight portability and style of a duffel, it also holds the organization and structure of a suitcase. The Pakt One is actually an updated version of Malcolm Fontier’s limited edition Getaway bag. The Pakt One is designed to fulfill many needs, keeping in mind that usage style and needs differ a lot. 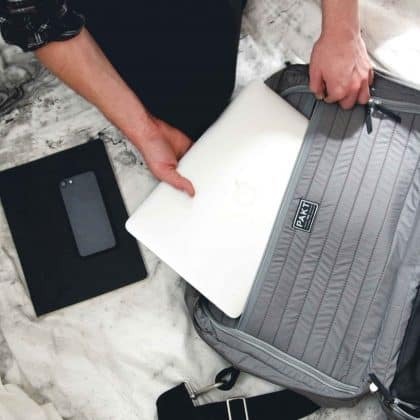 It holds first-of-its-kind TSA pocket to quickly stash items that have to be removed at security [like passport], there is an internal laptop pocket accessible from the top of the bag, that makes uses of clothing for extra cushioning, accessory loops that allow users to clip items. Now, this is probably not like any other product or some crazy brand who need to speak a lot of technical terms and big words to sell bags. And hence, the Pakt One got featured in the Netflix documentary, Minimalism. And then, it exploded – Not the bag, but it was something which many people wanted, so they decided to bring it to consumers finally, with some improvements of course. The Pakt One is also kind of different because it is made of durable materials, but keeping in mind that it should have a less environmental impact as far as possible. To bring Pakt One to consumers they started an Indiegogo campaign with a goal of $50,000 and guess how much they have raised? Well, it’s $450,395 which is more than 900% than their actual goal [as of writing this article]. They’ve started the campaign a day back and reached this feat in just 1 day. This is enough to say that travelers are in love with this minimalist travel bag. Also, this is something we haven’t seen quite recently and well, it might be one of the reasons why Netflix decided to feature it. From the press release, we got to know that 1% of the proceeds from the campaign will be donated to SeaHive, a collective also founded by Frontier, that tackles the problem of plastic waste in our oceans through design, technology, and media savvy. As the environment is one of the key things that was kept in mind while bringing this product to consumers, the Pakt One will be shipped bearing the SeaHive Seal, in a 100% plastic-free packaging, with no bubble wrap, no plastic bags, no air pillows, no styrofoam. So, what are you waiting for? Go ahead, order one for just $225 and help fund the project to reach a $1 million.